The Sheffield family was the first home built in the Horton Development in 1963. This home was built as a prototype “total” electric home. For many years, the local electric company continued to monitor the house performance and used the home as a model for new total electric homes. The barn quilt design represents Betty Sheffield’s beloved black cat – Breezy. Yellow in the design signifies Betty’s husband Marvin’s favorite color. 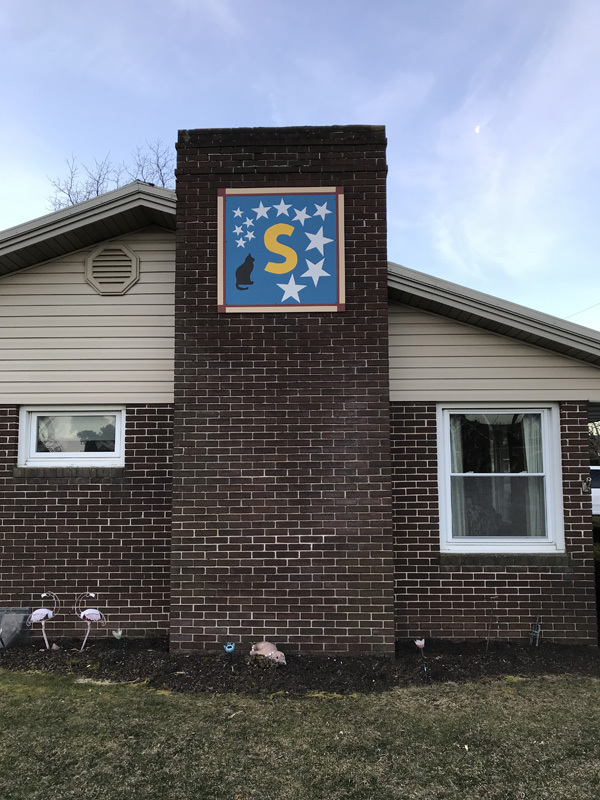 The stars on their cosmic journey represent Betty’s three children, four grandchildren, and her five great grandchildren.